Want to encourage your kids to be more independent around the house? Wouldn’t it be nice if they could participate more in your Thanksgiving and holiday prep and celebrations? 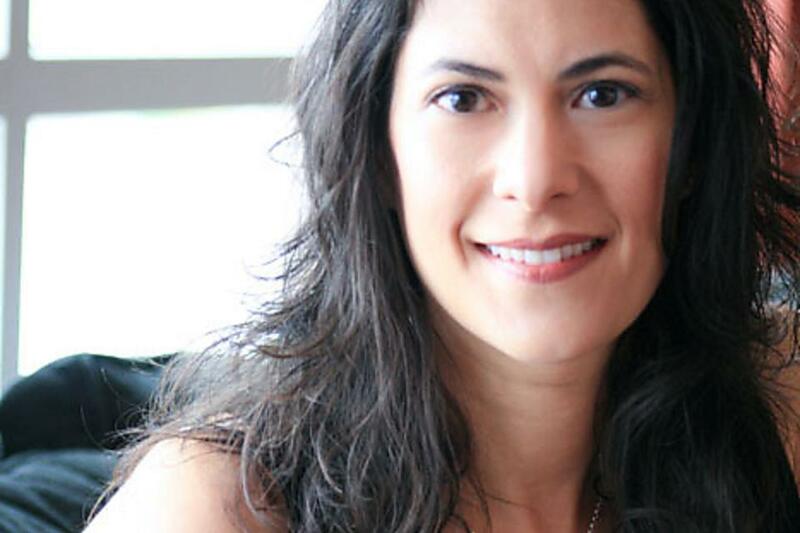 Christie Gosch, a graphic designer, mom of two, developer of an educational placemat for kids and 30Second Mom contributor, joined us to share her tips on getting kids more involved and eager to help independently! Q: What inspired you to raise independent kids? My kids went to a Montessori preschool, which is all about independence. Montessori fosters a “do it myself” approach that I embraced in the home and saw great results. Q: What are your favorite ways to get kids involved and helping? Creating a routine is key, they can get used to doing things before or after a daily event such as mealtime. Get them in the habit of putting a toy or game away before getting the next one out. Child-size tools, like a dustpan and sweeper, broom or rake, allows them to participate and feel empowered. Step stools, towels on bars at their level and items they can easily reach help them to do things for themselves. Sorting laundry into whites/colors is a great way to get very young ones involved and teach at the same time. Putting their folded laundry away in their dresser is also a fairly easy task even very young ones can do. Storing plates/cups/flatware in low kitchen cabinets so they can set their own spot at the table. Q: Do you have specific tips for kids helping in the kitchen, especially around holiday time? 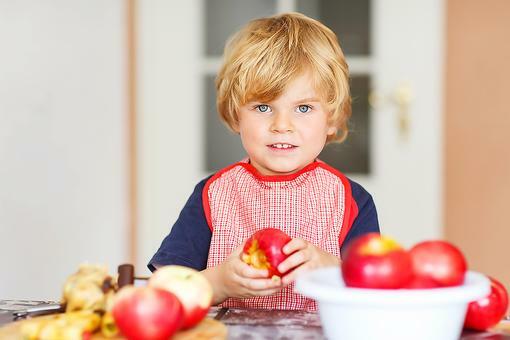 Start kids off with simple tasks in the kitchen like pouring, tearing, mashing or juicing. If you’re making potatoes for Thanksgiving, your child can scrub them for you in a cleaned sink. If your kids want to help mix but you fear the bowl will go flying, place a damp towel underneath for no slip. Need eggs peeled for holiday meals? Kids can help when shells slip off easily by steaming rather than boiling. Emptying the dishwasher is something many kids can do with or without help, depending on their age. If having kids help in the kitchen feels stressful, allowing for plenty of time can make it more relaxing. Q: What have you specifically noticed in your kids by encouraging them to be independent? Empowering my kids to do things themselves at a young age has set them up to be great helpers. I get comments from other families when my kids are in their homes that they participate and help there, too. Teaching my kids to be independent has created strong self-esteem in them as well. It’s a win-win! As they have gotten older I notice they take ownership in a lot of things and are self-starters. Q: Has it been hard at all to expect your kids to be independent and do a lot for themselves? I expect more every year but we discuss it and decide things as a family to empower them in the changes. Sometimes my teenager just wants a lazy day. It can be a challenge and I have to stand my ground. I have more of a soft spot for my second child because he is “the baby” but I try not to treat him differently. It can be enticing to show love through doing for my kids or make things easier but I try not to falter. Q: Tell us about the educational placemat you developed to help foster independence in young children. Q: Where can someone order your placemat? The placemat is available at SweetestPeaDesign.com or at my Etsy shop: SweetestPeaDesigner. Wonderful insights into how we can help kids be independent and involved in the holidays! Follow @cgoschdesign and @sweetestpeaetsy, and like her on Facebook! To learn more about her amazing placemats (they make a great gift! ), visit SweetetPeaDesign.com! 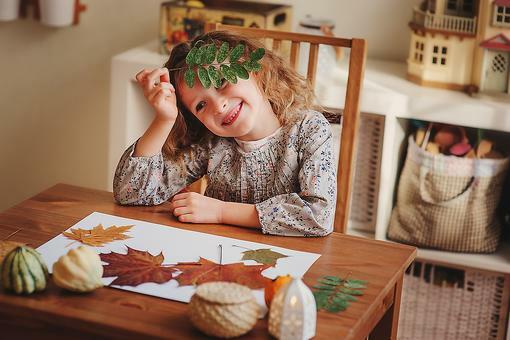 How to Turn Fall Leaves Into Thanksgiving Placemats (& Fun for the Kids)! How to Teach Kids to Care During the Holidays (& All Year Long)! How to Involve Kids in Thanksgiving & the Holidays With Christie Gosch!